Tag Archives: what do twentysomethings look for in a company? 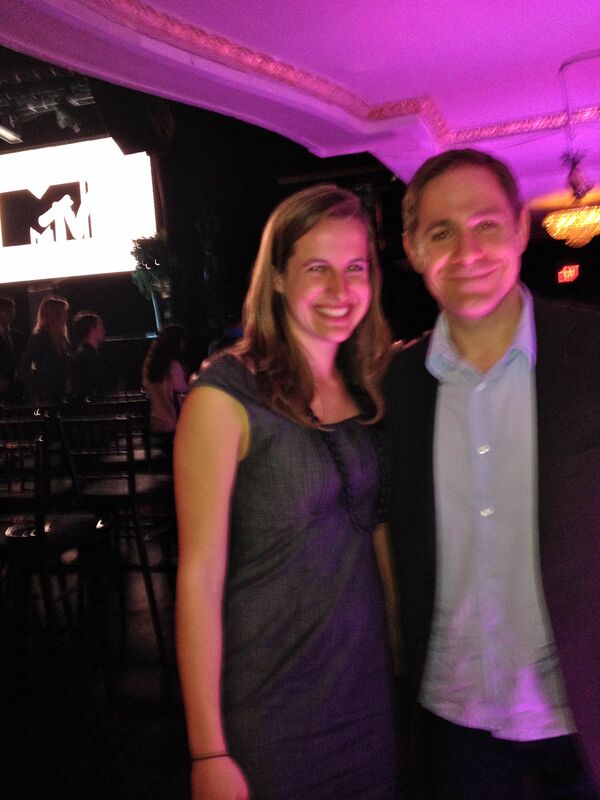 Reason #847 I love the internet: Meeting the president of MTV (in person!) with a single tweet. Stephen Friedman and I–life is unreal sometimes. With the MTV Movie Awards airing later tonight, it’s the perfect time to take a closer look at one of the quintessential brands for 12-34 year olds.Early last month, I heard about MTV’s first Boston recruiting event for summer interns and new graduates only. Considering MTV’s significance to previous generations and the fact that they are undergoing a major strategic repositioning to reach millennials, I had to be there! Thanks to Twitter and the amazing people at MTV Insights, my dream came true and I got the inside scoop. Here’s how MTV, a channel reaching 100 million millennials, branded itself to young employee-hopefuls (like me!). Tagged GenY recruiting, GenY values work, millennial recruiting, millennial values work, Millennials, MTV and millennials, MTV Boston event, MTV recruiting tactics, recruiting GenY, recruiting to millennials, what do millennials value in a company, what do millennials want in a company?, what do twentysomethings look for in a company?